London is a wonderful, unique place in the summer. I mean, I love it in winter too, I find the high buildings and countless lights festive and cosy…. but in summer there's a different vibe. People slow down, if only a little, and head to parks to enjoy the sun with friends equipped with cider and snacks. 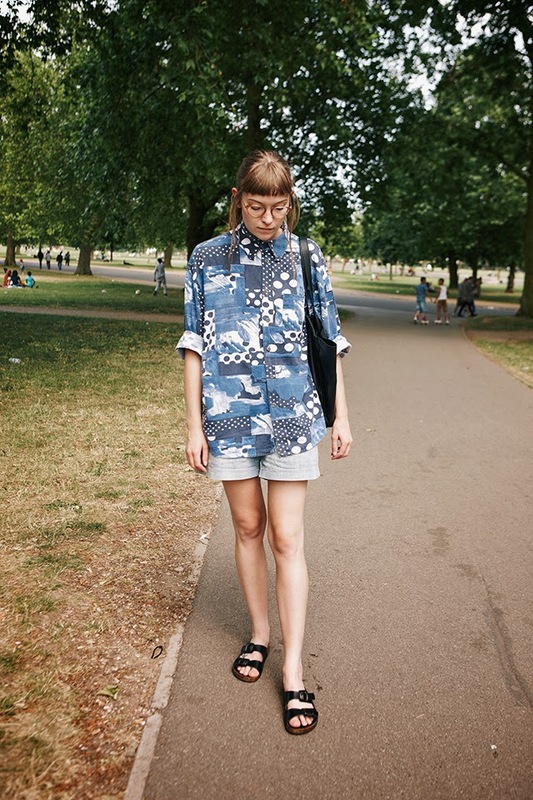 This photo was actually taken a few weekends ago on a sunny Sunday afternoon when Matt and I decided to go for a walk in Finsbury Park - I found this shirt at a flea market in Berlin, I love how crazy it is! Sorry if my blog posts are a little random at the moment by the way, I'm still trying to catch up after Berlin and Glastonbury! ahh this shirt is so rad, I love it!